In 2018, Diwali will be celebrated on the 7th November. 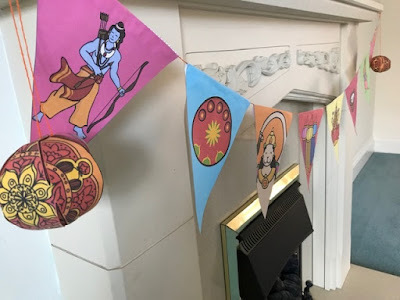 I always like to remind my children of the Diwali story as the time approaches, and we celebrate with family as well as doing some themed crafts and activities. Today I'm sharing some Diwali themed printables from Twinkl Resources that you can use at home with your children to help them learn about the Diwali story and to decorate your home. When it comes to telling the Diwali story, a great place to start is the Diwali Story PowerPoint (Premium resource). The Diwali story is told in simple language with engaging illustrations, and finishes by explaining briefly why Diwali is celebrated today. 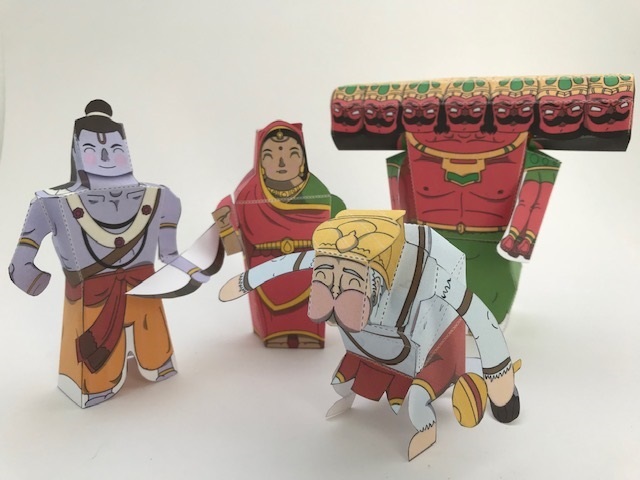 You can bring the story to life with these Diwali Story Puppets (Premium resource) or put together this Diwali Paper Toy Character Set (Premium resource) to make some fun Diwali toys. They make great decorations too! If you are looking for a free resource, you could make your own puppets using these Diwali Colouring Sheets. Decorating for Diwali is lots of fun, and Twinkl have plenty of resources to help. 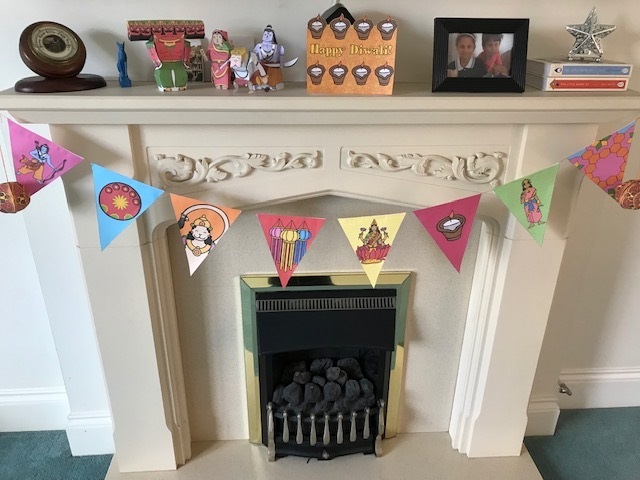 I like to decorate the mantelpiece in our living room for special occasions, so I started with some Diwali Bunting (Premium resource). The bunting is bright and colourful, featuring characters from the story and Diwali symbols like lanterns and diwa lamps. At each end I added a Simple 3D Diwali Decoration (Premium resource) that you can either print already coloured, or in black and white so that it can be coloured yourself. 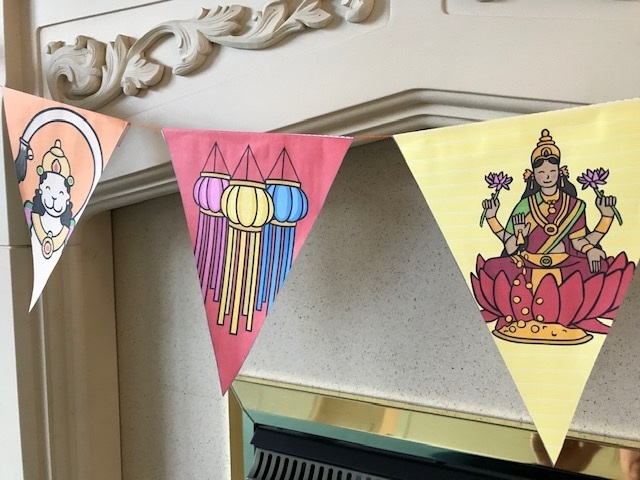 There are plenty more of decorations to print, including these Diwali Themed Paper Chains (Premium resource) as well as lots of craft ideas in this Diwali Craft Activity Pack (Premium resource) which would make great decorations. When it comes to making Diwali cards, Twinkl also has plenty of different options. 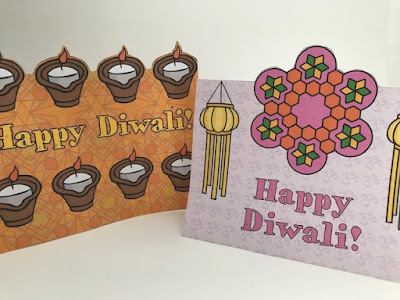 If you are looking for a free resource, I really like these Diwali Card Templates which are lovely and bright. You could also use the free Diwali Colouring Sheets that I mentioned above, perhaps by printing to different sizes, colouring them in, and using them to decorate blank cards. There are also some lovely Happy Diwali Card Templates (Premium resource) that children can colour themselves, and my favourite cards are the Diwali Pop Up Cards (Premium resource), we'll definitely be sending some of these this year! 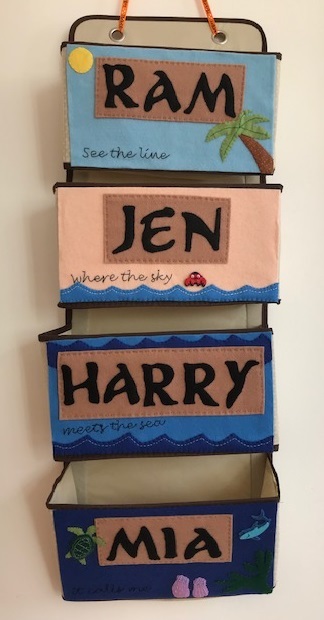 As you can see, Twinkl have plenty of Diwali themed crafts to keep you and your little ones entertained and to bring some colour into your home!